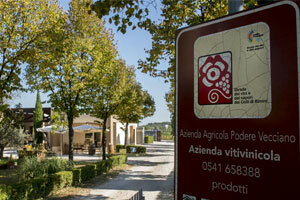 Vecciano’s amphora: a taste of wine in the raw. 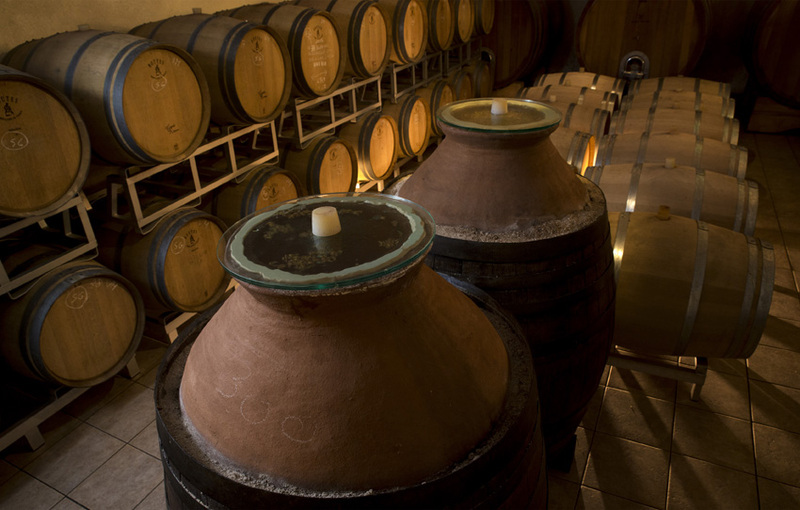 Over his wine­making project Davide Bigucci, more and more intrigued by the biodynamic philosophy, has been developing a peculiar interest for the vinification in amphorae. Captivated by this ancient wine­making art which dates back to the dim and distant past he committed himself to study and research. His experience has lead him to produce a white wine ­the Rebola­ gained from a highly suitable indigenous vine. 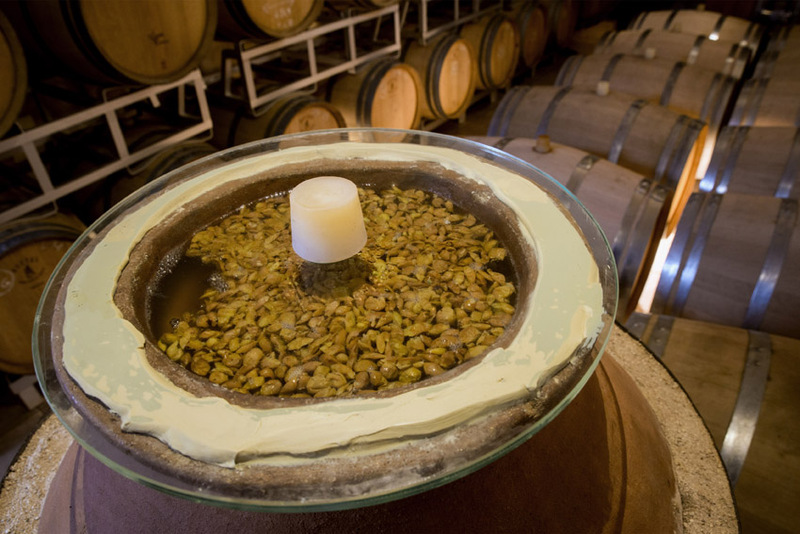 Carefully selected grapes are de­stemmed and gently pressed; the must is then kept over some months in huge terracotta amphorae from Georgia enhancing through skin maceration the character and soul of the wine as well as fully preserving the essence of this terroir. This is the first result of Davide’s work and of his commitment to a wine­aking style that shall harmoniously link man to soil through a prestigious wine, a wine that let us into the soul of this outstanding strip of land named Romagna.